Naagin is one of the most popular Indian fantasy dramas, which is being watched not only in the nation, but other Asian and African countries as well. Started on 1st November 2015, it is certainly going strong with its third leg all ready to air. The Naagin season 3 premiered on June 2 nationwide and has already gained lots of popularity. Read on and get to know every essential thing about Naagin 3 right here. Produced by Balaji Telefilms, Naagin is a popular fantasy drama that is watched by millions of people worldwide. While its original language is Hindi, it gets dubbed to numerous regional and international languages as well. Although Naagin 1 and 2 featured Mouni Roy as a lead, we will see Karishma Tanna as a protagonist for Naagin season 3. In the previous seasons, we followed the story of Shivangi (played by Mouni) and Sheesha (played by Ada) looking for Naagmani (a mystical gem). The season 2 of Naagin ended unexpectedly with one of the leads dying. While the exact storyline of Naagin 3 serial is not out, there are a few assumptions. Just like the other 2 series, the season 3 would also start with a detailed storyline. It would follow the life of ichadhari nags (shape shifting snakes) who would like to be together till eternity. Though, when the naag gets killed by a few perpetrators, his beloved naagin has to take revenge by punishing the killers. In Naagin season 3, Karishma has portrayed the role of Ruhi, who is a shape shifting snake. After waiting for 100 years, she was finally united with her beloved Vikrant (played by Rajat Tokas). Though, the young couple was attacked and Vikrant was killed in the fight. Now, Ruhi will be back to avenge her lover’s death. Here’s the first look of the series. The third leg of the Naagin series features plenty of changes. 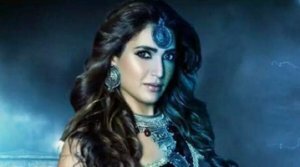 Not only is the Naagin 3 storyline a bit different, but we are going to see a change in the Naagin cast as well. Both of the lead actresses have been replaced in the third season. Most likely, we won’t see much of Mouni Roy and Adaa Khan in season 3. They have been replaced by Karishma Tanna, Surbhi Jyoti, and Anita Hassanandani in the lead roles. Also, the leading heroes will be changed in Naagin 3. We might not see Arjun Bijlani and Karanvir Bohra in the third season. Instead, we will see Pearl V Puri in the lead role. Besides that, other actors like Ankit Mohan, Rakshanda Khan, and Chetan Hansraj will play recurring roles in the series. Rajat Tokas is the only lead actor who has been repeated in the third season as he has been around from the first season. Though, he will take on a different role and avatar for this season. Apart from the Naagin cast, its promotional songs are also getting trending these days. Here is the look of its promotional song that has also given us the first look of Naagin 3. We are going to see an evident shift in Naagin 3 with respect to the overall series. Besides changing the Naagin cast, its overall storyline and cinematography have also been changed. The production value of the series has been improved too. Karishma Tanna is pretty excited for the series as well. In an interview, she said “I am happy to be back, especially with this show. My character has many shades. And, even though I don’t believe in folklore, people are gripped to the show” about it. This would be a major comeback for Karishma after her appearance in Bigg Boss a few years back. Hindi. Here are the other places to see Naagin 3 as per your convenience. Snaptube is a freely available app that has integrated various video hosting and sharing platforms in one place. Therefore, you can easily find all kinds of Naagin 3 videos without switching between different apps. Simply download the app on your device and look for the Naagin 3 full episode of your choice. Besides that, you can also watch TV shows, movies, music videos, and tons of other kinds of videos on your device. 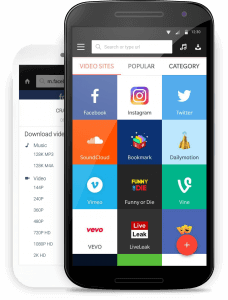 Go ahead and download Snaptube on your Android phone and watch your favorite videos anytime and anywhere you want.